Carriage with 5 nylon wheels and sealed bearings. Large pivot allows for increased weight capacity, smooth sliding and stability. Larger wheel dimensions increase the weight capability and reduce wear and tear between wheels and tracks. 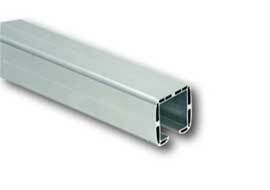 The tracks are high quality aluminum extrusion and structurally sound which gives them flexibility and permits carrying high loads without distortion. You can build the gate right on the track. This wheel mounts to the end of the track and covers the track end to give a clean finished look. It also prevents dirt, snow, rain, etc., from getting inside the track. The bottom wheel of the cup doesn’t engage with the ground but glides gently into the bottom end cup in the closed position. This cup will receive the track in the closed or open position. 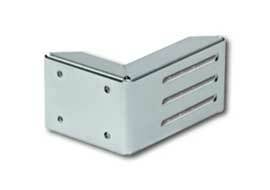 The beveled edge allows for a smooth stop. 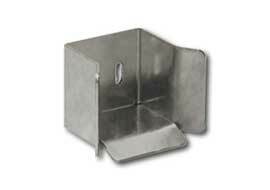 This optional wall bracket accessory can be used to mount the bottom end cup or upper end cup on either side of the gate. 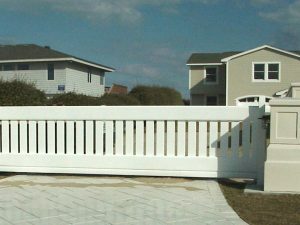 This optional upper end cup can be mounted on the post to receive the gate in addition to the bottom end cup. 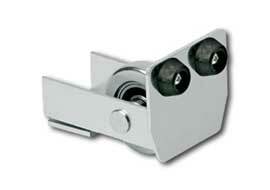 These bolts allow secure fastening of the carriages to the ground. Highly recommended. 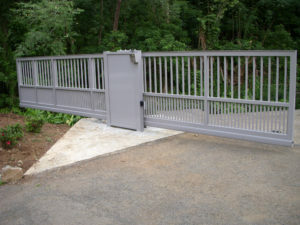 This tension bar is made of stainless and can be used as a counter balance brace instead of a full gate.This will allow for future gate adjustment. A recommended accessory to mount the carriage to. 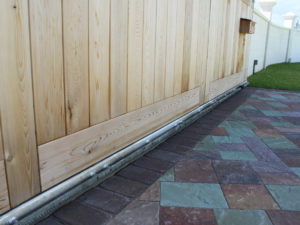 This prevents the carriage from coming in direct contact with the ground and also gives a more finished look to the installation. It will also provide a sturdier base for the carriage and assist in leveling. Guiding plate with nylon rollers used to support the gate on the top. Mount on posts on pillars. 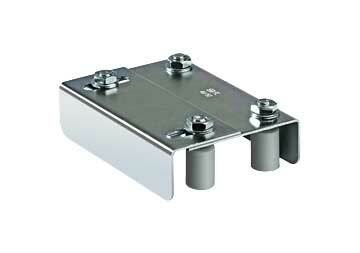 This guide plate helps comply with ASTM F2200 and UL325 safety standards. The roller covers block pinch point areas within the guide. 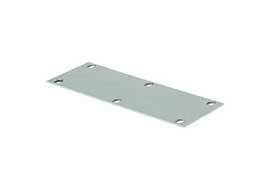 Use on frames up to 3-1/8" wide. 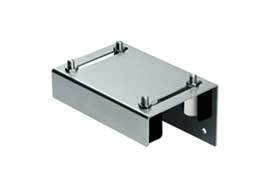 This guide plate helps comply with ASTM F2200 and UL325 safety standards. 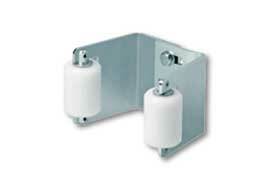 The roller covers block pinch point areas within the guide. Use on frames up to 4-3/4" wide. 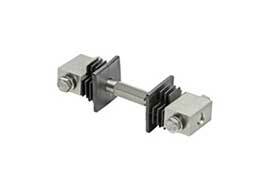 Adjustable roller for use with CG-254 monorail. 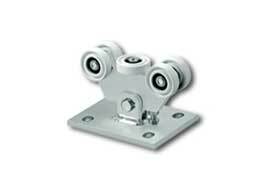 Steel monorail track for used with gates that have an arched or decorative gate top. 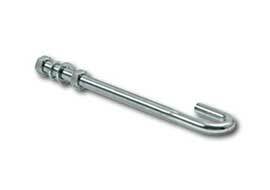 Use in conjunction with item CG-252 roller. 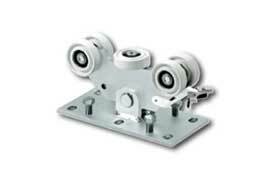 Steel monorail track for used with gates that have an arched or decorative gate top. Use in conjunction with item 258-30.